Since 1999, when democracy returned to Nigeria, no election into the senate to represent the people of Anambra Central has gone without litigation. The outcome of this is that instead of the five senators that have represented various zones, Anambra has had about eight, while in most other cases, even though there are litigations, opposing politicians have been unable to unseat the serving senator. A typical example is Dr Chris Ngige who was dragged to court by Prof Dora Akunyili, yet served out his term. In other cases, two senators served the zone in just one dispensation, splitting it among themselves. In 2015, Uche Ekwunife was declared winner of the Anambra Central Senatorial Election after she contested the election on the platform of the Peoples Democratic Party, PDP, and her opponent, Chief Victor Umeh of the All Progressives Grand Alliance, APGA, headed to the tribunal. Umeh had contended among other things that Ekwunife did not win the election, and that she was not also validly nominated by her party to run for the position. While the matter progressed at the tribunal, Senator Ekwunife was already sworn-in and was drawing emolument on behalf of the people of the zone. 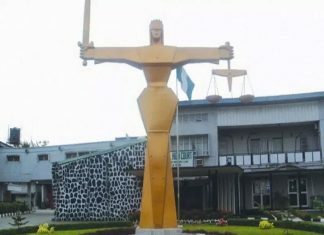 The matter proceeded to the Appeal Court Enugu and lingered until December of 2015 when the court sacked Ekwunife and ordered for immediate conduct of a rerun election, excluding Ekwunife who was of the PDP, and also barring her party from replacing her with another candidate as the period for substitution of candidates had long elapsed. The court also barred the All Progressives Congress, APC, from fielding any candidate except Dr Chris Ngige who had also run in the original election in 2015, but had been appointed a Minister by President Muhammadu Buhari. Ngige declined to join in the rerun election, citing that he had a new task bestowed on him by the federal government and was more committed to contributing his quota to move Nigeria forward than running for senate. Ekwunife in her smartness had immediately moved to the APC, and contested the flag of the party, defeating Mrs Sharon Ikeazor, in the hope of replacing Ngige in the rerun election, but was also stopped by the court. This eventually left Chief Umeh with a motley of feather weight politicians to contest with, and even though the contest was dogged by further legal contests, Umeh made it to the senate in one of the easiest election in history, after the seat had remained vacant for close to three years. In the recently held National Assembly election, Umeh and Ekwunife emerged again as the heavy weight candidates for the Anambra central senatorial post. 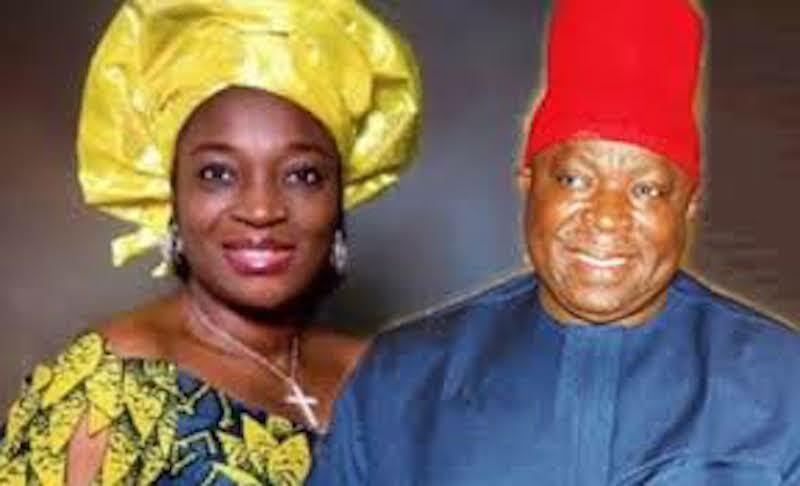 While Umeh contested on the platform of the APGA where he had remained a foundation member and always belonged, Senator Ekwunife contested for the ticket of the APC and won, but later dumped the party to move into the PDP where the ticket was waiting for her, for grabs, owing to the unattractiveness of the ticket because of an intractable feud that had dogged the party, until former governor Mr. Peter Obi was appointed running mate to Atiku Abubakar, and his popularity caused all to jettison their difference and follow him. 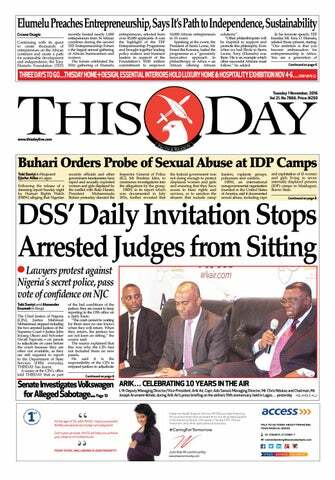 Meanwhile, THISDAY gathered that Umeh has dragged Ekwunife to the National Assembly Election petition tribunal, contesting that Ekwunife never stood for any primary election as was required by law to be elected as the candidate of the PDP. Umeh, in a petition marked EPT/AN/SEN/16/2019/ filed by APGA and Umeh as petitioners had Sen. Uche Ekwunife of the PDP, INEC and Anambra senatorial district election Returning Officer as defendants. However, reactions have continued to trail the decision by Umeh to challenge Ekwunife’s victory in court . 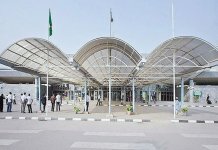 While some people have hailed Umeh for always doing what is right by going to court to seek redress for any perceived political injustice, than resorting to any other way to ventilate his grouse, another section of the society have on the other hand criminalised the senator for daring to go to court, insisting that Umeh had used his suit in court in 2015 to keep the Anambra Central seat in the senate vacant for close to three years, thereby denying the people of the zone, democracy dividends that were accruing to every other zone within the period. 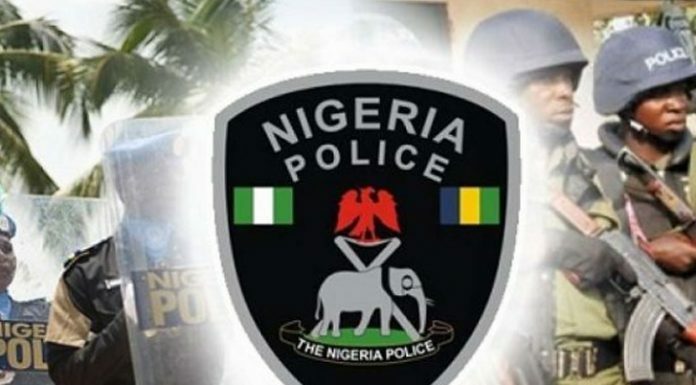 Chukwuemeka Ubani, a media aide of Senator Uche Ekwunife in a recent press statement accused Umeh of trying to use the court again to truncate the wishes of the people. 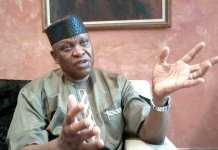 Ubani called on Anambra Central people to defend their mandate by pressuring Umeh to withdraw his suit at the tribunal. He said, “The February 23, 2019 election in Anambra Central was seen by all supporters of fairness as one where the people were allowed to freely choose who will represent them at the hallowed chambers of the Senate. By mid day of the election day, when results from polling units began to trickle in, it was clear to all and sundry, that the people have made a clear, unanimous choice. Meanwhile, in defense of his principal, media aide to Umeh, Mr Chizoba Ejiofor said that the candidate of the PDP and the Senator-lect was only afraid of being dragged to court because she is aware of some of the wrong things she did during the election. He added that the entire Ekwunife camp had been jittery since they found out that Umeh had approached the tribunal over the election. 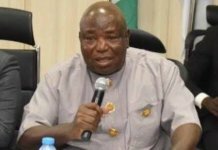 He said in a short message to THISDAY that, “I have never seen a people as confused as Hon. Lilian Uche Ekwunife’s supporters. They are busy congratulating and celebrating Senator Adeleke for his victory at the Osun Governorship Tribunal. They are also in total support of Atiku challenging the victory of PMB in court and at the same time abusing and insulting Senator Victor Umeh, for challenging the dubious victory of Ekwunife at the tribunal. To me, the useful idiots should be taught that going to court is better than violence. In the game of football, can Liverpool substitute its player with Chelsea player?” He asked rhetorically, referring to the claims of Senator Umeh that Ekwunife won the APC ticket but ended up flying the PDP ticket for the election.